Tanzanian President John Magufuli has revealed he earns a salary of 9 million Tanzanian shillings ($4,000) per month, making him one of the lowest paid African leaders as he pursues a much-criticised policy of deep public spending cuts. 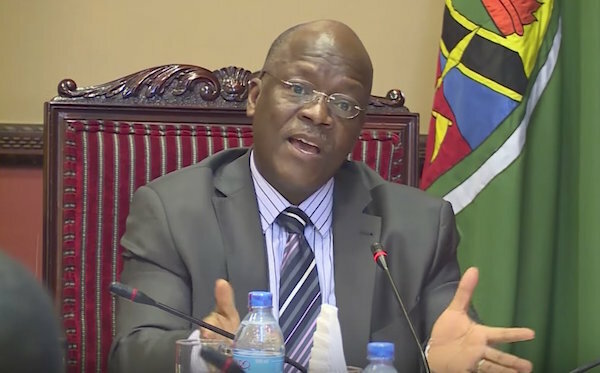 In a speech to local officials in the capital on Tuesday he also said his government had slashed salaries of executives at state-owned companies at 15 million Tanzanian shillings ($6,700) a month — more than his own. Since taking office in November 2015, Magufuli — nicknamed “the Bulldozer” — has cut government spending by imposing measures such as restrictions on foreign travel for government officials and the removal of “ghost workers” from the state payroll. Some critics say his cost-cutting measures are excessive and argue they could undermine growth in East Africa’s second-biggest economy and some have slowed investment in critical sectors such as mining. Magufuli’s salary is a small fraction of that of other African leaders. He has no other publicly known sources of income and his government said last year it plans to submit a parliamentary bill that would prohibit public leaders from engaging in business to avoid conflicts of interest. By contrast Kenya’s president earns a monthly salary of around $14,000. Jacob Zuma of South Africa is paid around $20,000 monthly, following a salary increase by parliament in 2015. Since 2009, Zuma has been embroiled in numerous scandals and allegations of abuse of office, including more than $500,000 of improper state spending on security at his private home.